Amber Heard Says She Feared Johnny Depp Might Kill HerHeard has detailed more allegations of abuse in a court filing. Amber Heard Says She Feared Johnny Depp Might Kill HerHeard has detailed more allegations of abuse in a court filing asking a judge to drop her ex-husband’s $50 million defamation suit against her. Johnny Depp Is Now Reportedly Suing Amber Heard for DefamationIn response to Heard’s op-ed about his alleged domestic abuse. It’s Alive, It’s Aliiiiiiive! Universal’s Dark Universe Is Resurrected, Sort OfUniversal’s monster movies are back in business! Amber Heard on Death Threats: ‘I Had to Change My Phone Number Weekly’In an op-ed for the Washington Post, the actor describes the death threats she received after speaking about domestic abuse. Johnny Depp’s Notorious B.I.G. Movie Pulled From Theater Release DateCity of Lies had been set to premiere on September 7. Johnny Depp Being Sued for Punching Someone on the City of Lies SetThis guy. Johnny Depp’s Request to Delay Fraud Trial Against Former Managers DeniedFirst that Rolling Stone profile, now this. At Long Last, Johnny Depp Confirms That He Does Act With an EarpieceFirst reported on Vulture in 2008. Watch the NSFW Trailer for the Amber Heard–Johnny Depp Movie London FieldsThe movie has had a controversial road to release, to put it mildly. City of Lies Trailer: Detective Johnny Depp Will Solve Biggie’s MurderConspiracy! Intrigue! Johnny Depp’s graying mustache! Fantastic Beasts: The Crimes of Grindelwald Trailer: Meet Young DumbledorePremiering November 16. Harry Potter Author Defends Casting Johnny Depp Despite Abuse AllegationsDepp was accused of emotional and physical abuse by his ex-wife, Amber Heard. Murder on the Orient Express Is a Mild RideKenneth Branagh’s update on the classic story is a good bet for those unfamiliar, but a bit of a snooze otherwise. Push Me to the Edge, Universal’s Monsterverse Is (Reportedly) DeadWriter-producers Alex Kurtzman and Chris Morgan, Dark Universe’s main architects, have exited. Johnny Depp’s Former Business Managers Push to Foreclose on Five of His HousesThe company claims it needs the money to cover a $5 million loan to the actor. Murder on the Orient Express Trailer: All Right, Who Killed Johnny Depp?Kenneth Branagh’s remake arrives November 10. Johnny Depp’s Ex-Management Company Is Dragging His Family Into Legal DisputeThe Management Group claims Depp is throwing his friends and family “under the bus” with his lawsuit against the company. Feds Reportedly Looking Into Johnny Depp’s Ex–Money ManagersSources say the actor’s lawyers shopped his case around to federal agencies. Benedict Cumberbatch’s Favorite Perfumer Can Find Your Perfect ScentAzzi Glasser once made a perfume meant to smell like a ditch. Johnny Depp Reportedly Spent $7,000 on a Kardashian KouchWhat a steal. The Fantastic Beasts Sequel Will Be a Globe-trotting Wizard ChaseWe still don’t know whether a Johnny Depp–Jude Law romance is in the cards. Johnny Depp Is Sorry for That ‘Bad’ Donald Trump Assassination JokeHe was only “trying to amuse” with it. Meanwhile, Johnny Depp Is Trying to Make The Libertine Happen (Again)He’s screening the movie as Glastonbury’s new Cinemageddon stage guest of honor. How That Amazingly Terrible Universal-Monster-Universe Cast Photo HappenedUniversal’s ridiculously serious Dark Universe publicity photo was a composite, which only makes it more fun. 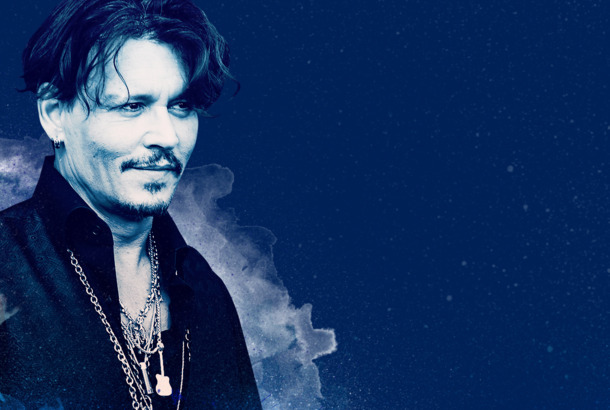 After So Many Flops, How Is Johnny Depp’s Career Still in Such Good Shape?Despite a long line of flops and mountains of bad press, Johnny Depp is still one of the most in-demand actors in Hollywood. Why? Johnny Depp’s Sister Allegedly Used His Money for Her Daughter’s WeddingThough Depp’s ex-money managers dispute the claim. 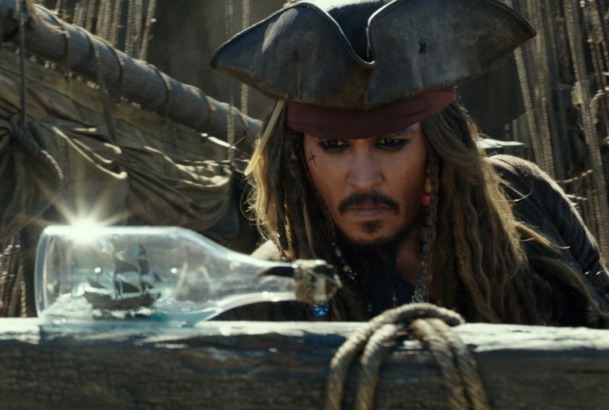 The Pirates of the Caribbean Budget Included $2 Million for SnacksThat’s a whole lot of Pirate’s Booty. Review: The Fifth Pirates of the Caribbean Movie Is a Sorry SpectacleDo movies this loud and hectic really entertain anyone? Johnny Depp’s 13 Homes, RankedFrom the yacht to the private island. Johnny Depp to Star As John McAfee in King of the JungleThe only character bigger than an eccentric trickster pirate. 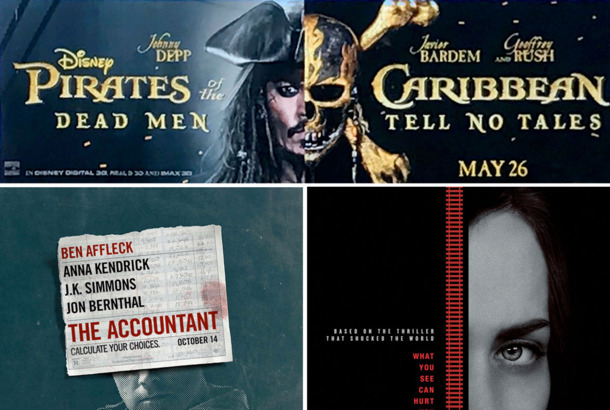 Why Is Disney Only Showing Half of Johnny Depp’s Face on the Pirates Billboards?How do you advertise a movie where your star is both the main attraction and the biggest liability?